Making cities better is at the heart of everything we do. That’s why we work hard to keep our streets safe for everyone, whether they’re on foot or on a motorbike.With MOTO, Gurgaon’s bike-sharing product, we are committed to connecting Gurgaon with reliable, affordable and most importantly safe rides. All our riders and drivers have to wear a helmet and your MOTO driver carries a spare one for you. Adding to our efforts in #MakingRidesSafer we are excited to announce that we have partnered with Steelbird Helmets, one of the oldest and leading manufacturers of Helmets in India, to give you a chance to own a helmet that fits great, keeps you safe and looks incredible – all for a glorious sum of Rs 0. We believe that by leveraging technology we can provide an incredible opportunity to improve road safety in new and innovative ways — before, during and after every ride. 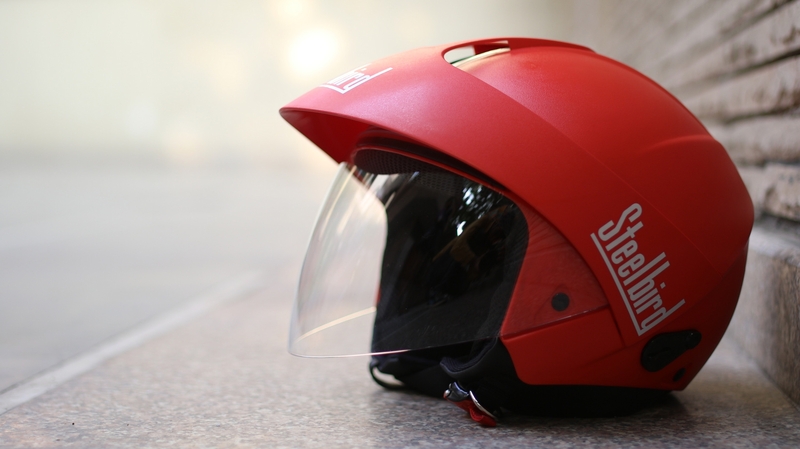 Therefore, in the spirit of Road Safety Week 2017, all motorbike enthusiasts can request a Free Red Steelbird SB-35 Cruz Helmet in the Uber app to be delivered right at their doorstep on Tuesday, 17 January. The ‘HELMET’ option will be available only in Gurgaon. Limit of one helmet per request.